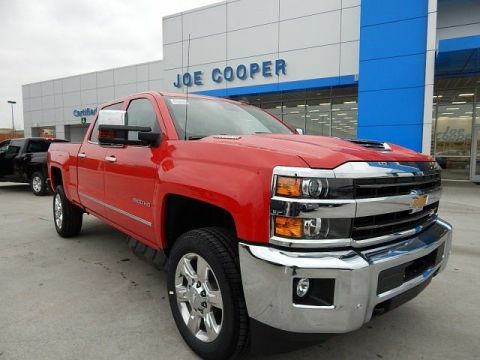 $9,618 off MSRP! 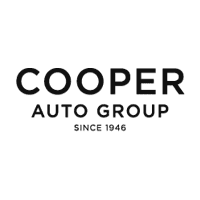 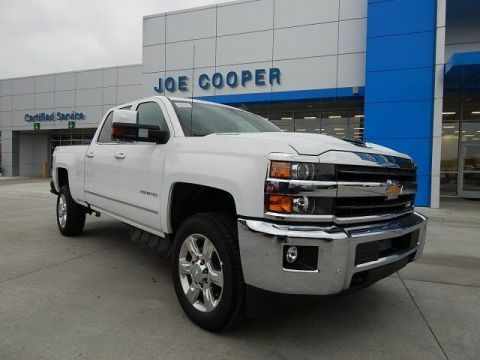 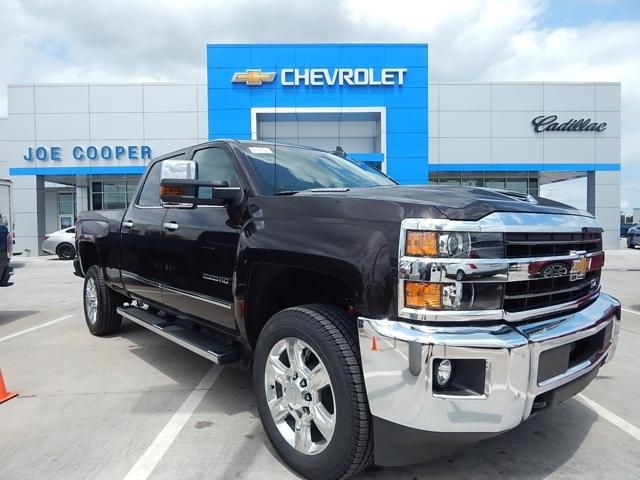 Joe Cooper Chevrolet Cadillac of Shawnee is proud to offer this hard-working 2019 Chevrolet Silverado 2500HD LTZ in Brown Metallic with Jet Black interior. 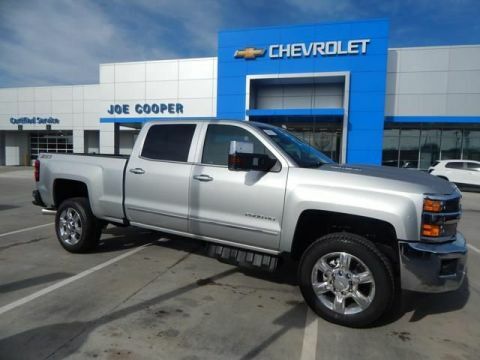 Well quipped with Driver Alert Package (Forward Collision Alert and Ultrasonic Front & Rear Park Assist), Duramax Plus Package (Engine Block Heater and Radio: Chevrolet Infotainment System w/Navigation), LTZ Plus Package (Heated Leather Wrapped Steering Wheel and Power-Adjustable Pedals), Off-Road Z71 Package (Hill Descent Control), Preferred Equipment Group 1LZ (110-Volt AC Power Outlet, 4.2" Diagonal Color Display Driver Info Center, 6-Speaker Audio System, Auto-Dimming Inside Rear-View Mirror, Chevrolet 4G LTE, Chevrolet Connected Access, Chrome Bodyside Moldings, Chrome Door Handles, Chrome Mirror Caps, Color-Keyed Carpeting Floor Covering, Deep-Tinted Glass, Digital Steering Assist, Driver & Front Passenger Vanity Mirror Visors, Dual-Zone Automatic Climate Control, Electric Rear-Window Defogger, Electronic Shift Transfer Case, Front Halogen Fog Lamps, HD Radio, Heated Power-Adjustable Outside Mirrors, Integrated Trailer Brake Controller, Leather-Wrapped Steering Wheel, Manual Tilt-Wheel/Telescoping Steering Column, OnStar & Chevrolet Connected Services Capable, Power Sliding Rear Window w/Defogger, Rear 60/40 Folding Bench Seat (Folds Up), Rear Wheelhouse Liners, Remote Keyless Entry, Remote Locking Tailgate, Remote Vehicle Starter System, Single Slot CD/MP3 Player, SiriusXM Radio, Steering Wheel Audio Controls, Unauthorized Entry Theft-Deterrent System, and Universal Home Remote), Standard Suspension Package, Trailering Equipment, Allison 1000 6-Speed Automatic, 4WD, Jet Black Leather, 18" Chromed Aluminum Wheels, 3.73 Rear Axle Ratio, 4.10 Rear Axle Ratio, 4-Wheel Disc Brakes, 6 Speakers, 6" Rectangular Chromed Assist Steps (LPO), ABS brakes, Air Conditioning, AM/FM radio: SiriusXM, Auto-dimming door mirrors, Auto-dimming Rear-View mirror, Automatic temperature control, Bodyside moldings, BOSE Sound w/6 Speaker System, Brake assist, Bumpers: chrome, Camper & 5th Wheel Trailer Wiring Provisions, CD player, Chrome Power-Adjustable Heated Trailering Mirrors, Compass, Delay-off headlights, Driver door bin, Driver vanity mirror, Dual front impact airbags, Dual front side impact airbags, Electronic Stability Control, Exhaust Brake, Exterior Parking Camera Rear, Floor Mounted Console, Front & Rear All-Weather Floor Mats, Front 40/20/40 Split Bench Seat, Front anti-roll bar, Front Center Armrest w/Storage, Front dual zone A/C, Front fog lights, Front License Plate Kit, Front reading lights, Front wheel independent suspension, Fully automatic headlights, Garage door transmitter, Heated & Vented Front Seating, Heated door mirrors, Heated Driver & Front Passenger Seating, Heated Front Full Feature Bucket Seats, Heated front seats, Illuminated entry, Leather Appointed Seat Trim, LED Cargo Box Lighting, Low tire pressure warning, Memory seat, Occupant sensing airbag, Outside temperature display, Overhead airbag, Overhead console, Panic alarm, Passenger door bin, Passenger vanity mirror, Power door mirrors, Power driver seat, Power passenger seat, Power steering, Power windows, Premium audio system: Chevrolet Infotainment System, Radio: Chevrolet Infotainment System, Rear reading lights, Rear seat center armrest, Rear step bumper, Rear window defroster, Remote keyless entry, Security system, Speed control, Speed-sensing steering, Split folding rear seat, Steering wheel mounted audio controls, Tachometer, Telescoping steering wheel, Tilt steering wheel, Traction control, Trip computer, Turn signal indicator mirrors, Variably intermittent wipers, Voltmeter, Wheels: 20" 6-Spoke Polished Aluminum, and Wireless Charging.